Aran’s international convention hosted some 40 people, from 18 countries, who are marketing the Group’s products all over the world At its core was the presentation of the Aran 2020 program, which focuses on increasing activity in Europe and establishing a production plant in the United States The convention mixed business with pleasure in the Company’s best tradition: with professional content and the presentation of the Company’s vision alongside enrichment activities, entertainment and team-building. They came from Spain, Italy, France, Russia, the Czech Republic, Slovakia, Germany, Switzerland, Poland, Greece, Belgium, Austria, the United States, China, Chile, Colombia, Mexico, Australia and Israel. 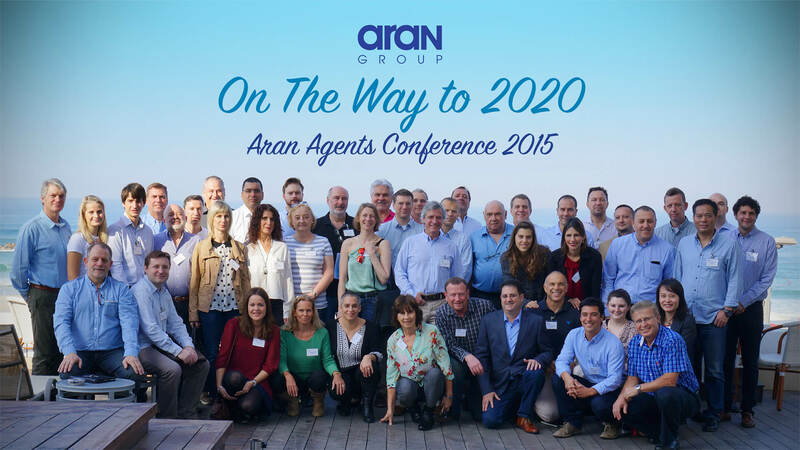 Some 40 Aran Group agents from 18 countries attended the Company convention, which took place in Tel Aviv from November 29 to December 1, 2015. The Group managers presented the current and future directions of growth according to the Group’s strategic plan – a five-year plan, in which, from the start, Aran plans to expand its activity in Europe, launch a new production plant in the US, and make a marketing breakthrough in the American market. David Woolford, Chairman of Aran’s Board of Directors, Lior Mor, the CEO of the Aran Group, and Felix Mallul, VP of Sales and Marketing, spoke at the convention’s opening session. They presented the Group’s current vision and shared technological, strategic and commercial information with the agents. The subsequent sessions included lectures on a variety of professional topics given by senior members of the global BIB industry. On Monday, the agents visited Aran Packaging’s production plant at Kibbutz Nahshon, where they heard talks and lectures from Company members and guest lecturers. Tuesday was devoted to a visit to Acre and Haifa, including a walking tour of the renowned Baha’i Gardens, entertainment and team-building. The convention connected Aran’s marketing personnel from all over the world and created professional, personal and social connections that mixed business with pleasure, in the best tradition of Aran’s international conventions, which have been held every three years since 2006 in various places in the world.